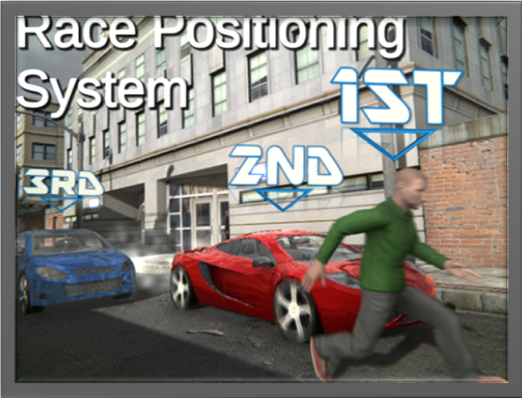 The Race Positioning System (previously called Car Positioning System ) is a complete solution for turning your scene into a race. It can calculate race standings at runtime and provides many optional features including laps and checkpoints. It supports all race types for any kind of moving object. The advanced editor tools and modular nature make it quick to learn and easy to use. For advanced users, the code is clean and easy to follow with many comments and a detailed documentation. The Race Positioning System can be setup in a scene in just a few minutes, saving you hours of time to do what you do best. You can easily add UI elements to display the race standings including directly above the objects involved in the race. Use a Lap System to handle races around a track with a certain number of laps. RPS allows you to display lap numbers as UI elements and implement different end-of-race functionality depending on the position the player finished in. Use a Checkpoint System to keep your player on track. Warn them by displaying a UI element if they miss a checkpoint. RPS works with any moving object. If you have cars, boats, humans, bicycles or airplanes racing each other, it doesn't matter, RPS will work. You can use any vehicle physics or controllers you like. If your race uses laps - RPS works. If your race is a sprint from one location to another - RPS works. If your race is on a 2D surface - RPS works. If your race is in 3D (e.g. 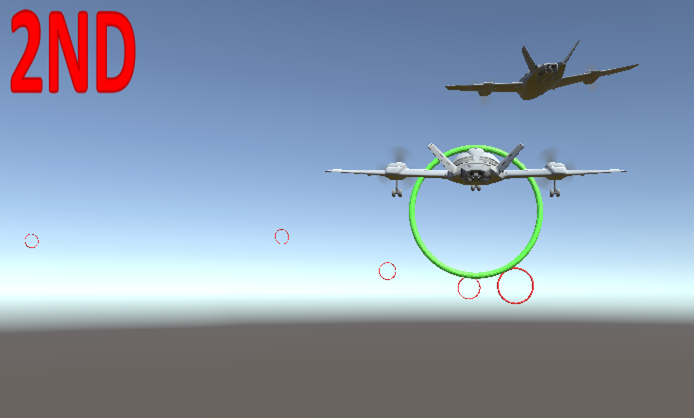 airplanes) - RPS works. If your race is multiplayer - RPS works. If you are using split-screen multiplayer, RPS works without any changes. If you are using networked multiplayer, RPS works with a few small changes. 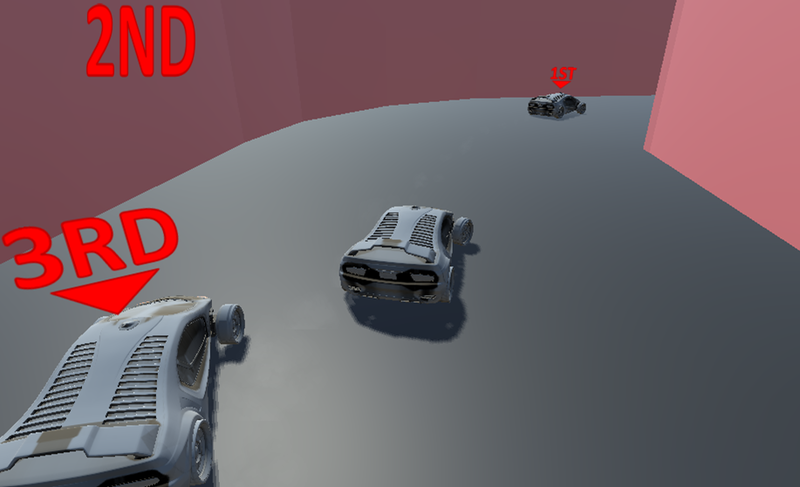 It is easy to setup RPS to work with adding/removing objects in the race at runtime with some small changes. This allows you to remove the player in last place at the end of every lap or after a countdown or remove objects when they are destroyed, etc. We've built an Editor Window which guides you through the setup process and every RPS script has a Custom Inspector so everything you need is just where you want it. RPS scripts are added to your objects in a very modular fashion. Add 1 script to every object to handle calculating race standings. Then you can add further scripts for Laps, Checkpoints, and UI as required. RPS includes 4 Main Demo Scenes. You can use these to see the variety of races you can create with RPS, and also to help you out if you get stuck. We include 5 sets of Textures for Race Standings. This means textures which say 1st, 2nd, 3rd, ... etc. If the numbers don't go high enough for you, just let us know and we'll add more. The pdf documentation contains information about how we made the textures so you easily create your own. The package includes a highly detailed, clear PDF Documentation. It contains information about all scripts in the package. The PDF also contains a tutorial guiding you through the setup process. You shouldn't need to use this as the Editor Window explains everything to you, but it is there just in case! All source code is included, written in C#. All source code is clear and well-commented. If there is anything you don't understand, just let us know and we'll explain it to you. Don't worry about whether RPS will work in your Unity version or not. We support all versions of Unity from 4.6 onwards so chances are it does! If you do have any problems in a specific version of Unity, let us know and we'll fix them. 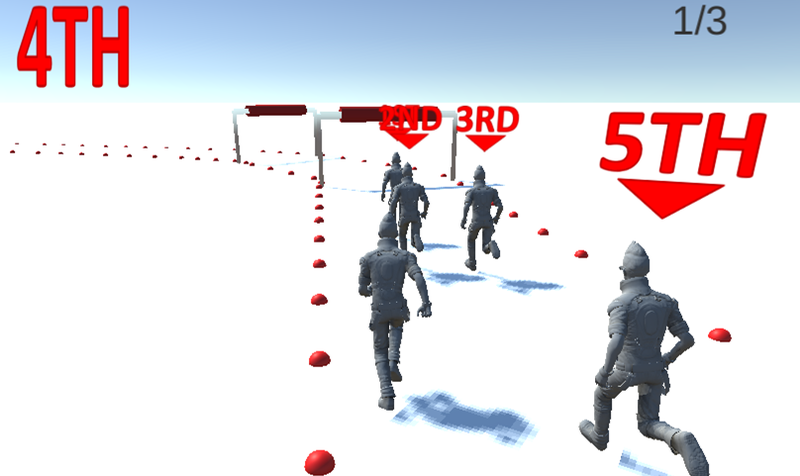 The Race Demo shows how the Race Positioning System can be used in a finished proffessional game. It is not included in the package as it uses other packages from the Unity Asset Store. A race between two airplanes with checkpoints to guide them. It uses the airplane prefab from Unity Standard Assets. A race between 5 human characters. The race consists of 3 laps around a circuit. The controllers come from Unity Standard Assets. A race between 3 cars. Does not use Checkpoints, infinite number of laps. Car Controllers from Unity Standard Assets. 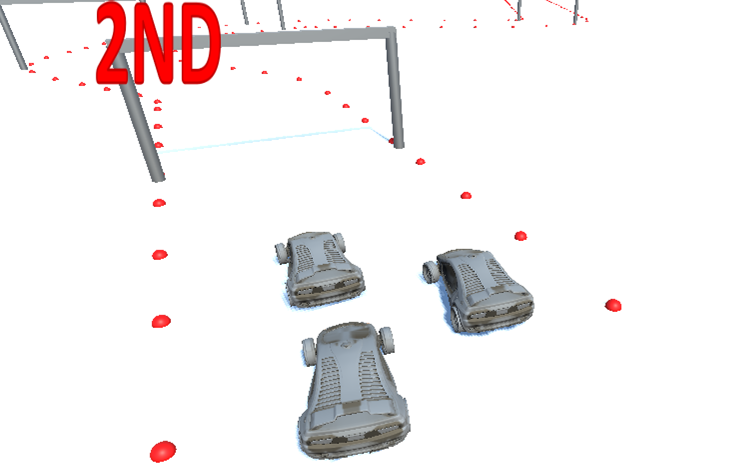 A sprint race between 3 cars, no laps, with basic end-of-race functionality. Car Controllers from Unity Standard Assets.